You can download a demo version of Lender Software Pro to try out its features. The demo is locked so you cannot change the borrower’s name, company name or the amount of the loan. All other features are available for you to test. You must have a copy of Microsoft Excel® 2007 or later. Older versions of Microsoft Excel® do not support all the features of our Software. IMPORTANT – Lender Software Pro will not work properly if used from a smartphone or iPad, as although there are versions of Excel for mobile devices, they do not support all the features and are unlikely to work properly. We provide an illustrated, step by step user guide. We recommend that you print this manual BEFORE you start using the software. Q. How many copies of your software do I need? A. You just need a single copy of our software. All you have to do is copy it for each loan you have. Q. Why are some spreadsheet cells protected? A. In order that our software isn’t altered and given for free across the internet, we lock various cells to protect the spreadsheet and copyright notice. Q. Why can’t I change the calculated cells? A. It would be impossible for us to identify bugs if anyone was able to change the locked cells. Q. What warranty and support do you provide? A. No software manufacturer can or will guarantee their software is 100% bug free. Nor can we. If not satisfied your sole remedy is to delete this software from your computer and receive a FULL REFUND from us of the price you paid. 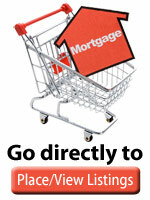 However, we have been in the Private Mortgage lending business for some 30 years. We designed this software for use in our own business and believe it is the best and easiest to use program of its type. Q. What if I find a bug? A. Please use this contact us form to send us a message. Q. Will you provide upgrades? A. We have a record of all customers who have purchased a copy of our software and their email addresses. If we release an updated version, e.g. to fix a bug, then you would be emailed a link to an updated version as soon as it is available. Please note that we do not guarantee that we will ever release an updated version. Q. How do I know I have the latest version? A. If you have purchased Lender Software from us, then you will have the latest version. If for any reason we have released a new version and you are an existing customer, we would email you with a link to the updated software. If you have received this software from a friend and not paid for it, then you may not have a fully working version. In this case, you must delete it immediately and purchase a full version from us directly. Why risk not having a fully working version for $49.99? The latest version is v1.7.8.